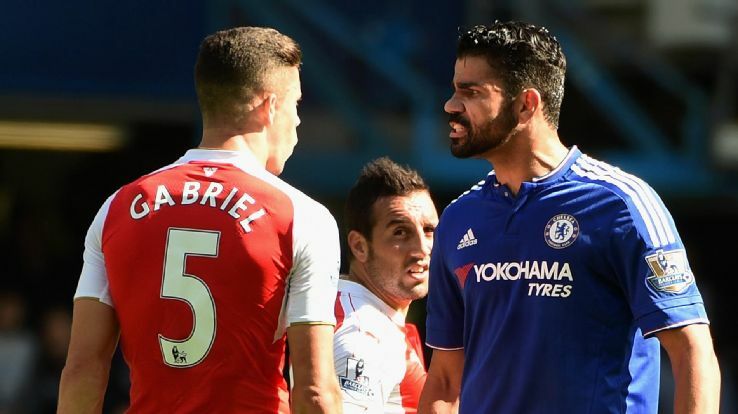 Arsenal v Chelsea: Chelsea written off by everyone - Remember Liverpool? As Chelsea prepare to make the short trip to The Emirates this afternoon, they have virtually been written off and not given any chance with all the focus being on Arsenal's title challenge. 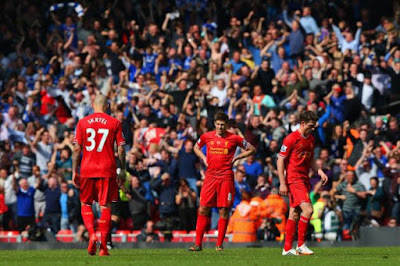 Cast your minds back to what we did at Liverpool two seasons ago! It's easy to jump on the Arsenal bandwagon at the moment as they have their best opportunity in years to win the Premier League title. They have exciting players, great attacking threat and finally a Goalkeeper that can get them out of danger (for the most part). Pundits and so-called experts are almost foaming at the mouth at the prospect of an Arsenal title after showing faith and loyalty to Arsene Wenger for all these years. However, some Arsenal fans do not believe that Arsene Wenger will lead the Gunners to another title while he is in charge and some believe he should have left the club by now but they are in the minority. So what of Arsenal v Chelsea? What do the Arsenal fans feel about the game today? Well those who I have spoken to are concerned and worried ahead of this afternoon. The reason is simply "because it's Chelsea!" which speaks volumes. Don't get me wrong, plenty are more than confident and expect Arsenal to take advantage of our current predicament to inflict further punishment and to more or less put an end to any thoughts of a top-four finish. Defeat for Chelsea would be a blow and an end to Guus Hiddink's unbeaten return as Chelsea manager. It would be a real dent in our aspirations to climb the table to try and make a push for European football next season. Will it happen today? I am not so sure! Everyone has written Chelsea off today and it seems that we haven't been given any consideration at all which is scandalous really. Expect the focus pre-game to be of Arsenal's title charge and the fact that this will be an important stepping stone. "What better chance will Arsenal have to play against the wounded Premier League champions, at home, and make a statement that they are in for the title?" Despite that, I feel this game could deliver a mixed message because Chelsea are not performing at the moment. If Arsenal go and hammer Chelsea people will attribute that to Chelsea's poor form. However, if Arsenal win a tight game people will say they suffered against Chelsea. We will see on Sunday what they can do. Let's not forget that Arsenal have a great record against Chelsea when Jose Mourinho is not the coach, they usually enjoy those games." I fully expect SkySports to jump on the Arsenal bandwagon this afternoon in the same way they did two years ago as we travelled to Anfield with Liverpool expecting to win the Premier League. Their coverage that day was so one-sided, so biased it was bordering on propaganda. It really was disgusting. It was almost as if Chelsea just had to turn up and they would be beat because no one could stop them that season! What happened? Chelsea dealt with every single attacking threat Liverpool posed that day with Tomas Kalas an Academy player starting at centre back. Chelsea were well drilled, organised, disciplined and frustrated the life out of Liverpool. Steven Gerrard slipped and the rest is history. Will Chelsea have the same approach this afternoon? I doubt it as on that day, we had a side struggling with injuries and suspensions. Today we welcome Diego Costa and Eden Hazard back into contention and we have plenty of options for Guus Hiddink to choose from. Will he decide to go with two defensive midfielders in front of the back four giving licence to our attacking four to literally take the game to Arsenal? Will he change our formation to a 4-3-3 formation with Mikel/Matic sitting at the base and Fabregas and Oscar next to him? Will Eden Hazard start? Diego Costa is key in this game for both sides. If he can start well, dominate his marker and begin to boss the ball then Chelsea will be in business. 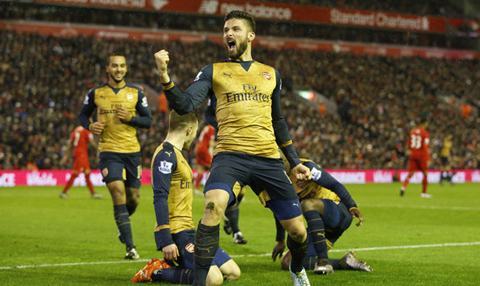 Will the Arsenal players fall for his antics once again over a sustained ninety-minute period? Only time will tell. It's important to note that in recent weeks Costa seems to be focused just on his game. In recent weeks the Costa/Fabregas partnership that became so instrumental in our title last season is back and look or those two to link up whenever possible this afternoon. There is so much more to Diego Costa than the press give him credit for. Much is made of Chelsea's attacking midfielders tracking back to help out in defensive areas and this could also have an influence on the outcome. Do the Arsenal's players in the same areas do the same? Are they just as effective? This is a London derby and you MUST work hard all over the pitch to earn the right result. 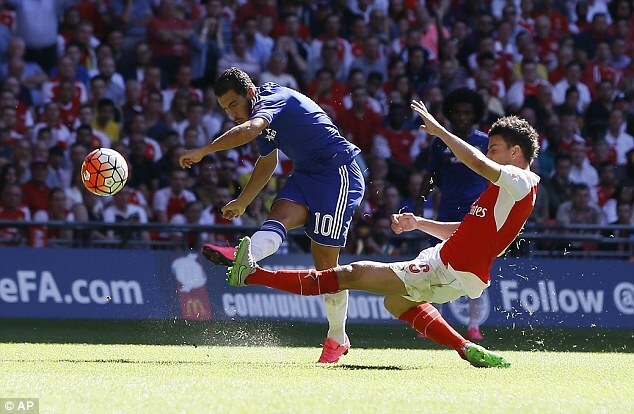 Will Arsenal want to work as hard as Chelsea? I think many neutrals would be of the opinion that the game this afternoon could go either way but as we all know, you would be a fool to write Chelsea off in the big games such as this one!. Just ask Liverpool!